José Miguel, a founding partner of the law firm Hernández-Rico&Diez, is the President of the IE Alumni Club in Valladolid. 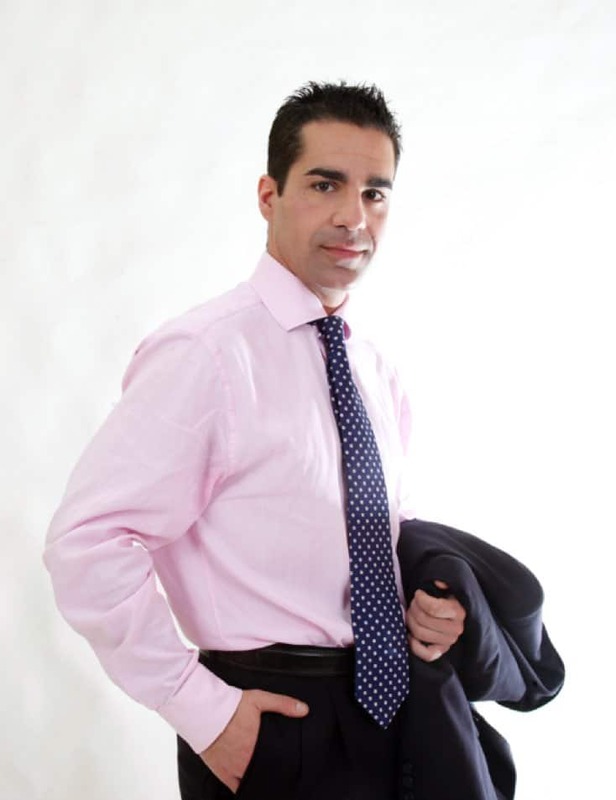 In addition to the Máster en Práctica Jurídica y Ejercicio de la Abogacía program, José Miguel has participated in various Executive Education programs at IE Law School, including Legal Project Management, Negotiation, Compliance, Advanced Management Program and Successful Litigation. He has also taught law at the Universidad de Valladolid and UNED. In the following interview, José Miguel discusses his educational and professional background, and shares his vision for the challenges that will affect the legal world in the future. What led you to decide to pursue a master’s degree and several programs at IE Law School? The reason why I have always chosen IE Law School to expand my education is the excellent educational quality of their programs, in addition to the possibility of making professional contacts within their community of students and teachers. What was the most valuable lesson you learned at IE Law School, and do you continue to apply this to your professional life? The ability to analyze any legal issue from a multilateral perspective. This allows me to be aware of the different interests involved in the case I’m working on. What stands out from your experience (both professionally and personally) at IE Law School? Any stories you’d like to share? IE Law School helped me to become aware of how competitive the legal market is today, and to understand that, if I want to succeed, I can’t afford to stop working hard. I must confess that, during my time at IE Law School, I started waking up every day at 5 a.m. Best of all, I’ve become so used to this that it’s now second nature! What opportunities arose during your time at IE Law School, and what do you currently do? In addition to allowing me to update my legal knowledge and learn about new trends and methodologies in the legal world, the IE Law School programs have allowed me to expand my professional network. This is helping me reach my main professional goal, which is to transform my office in Valladolid into a leading law firm in the region. From your point of view as a professor and student of law, what do you consider to be the greatest challenges that future lawyers will face? In my opinion, any lawyer who wishes to excel in this increasingly competitive and globalized market must possess the following three qualities: a strong technical and legal expertise, the ability to adapt to new digital innovations and commercial skills, and the ability to lead and manage teams. What stands out the most from your experience as a partner at a law firm? What has been the biggest challenge that you have faced, and how have you overcome it? For lawyers who have founded and run small firms in provincial capitals, the biggest challenge is standing out. Because we don’t have the visibility and reputation of the big law firms, we have to strive to demonstrate to our customers that we have the ability to deliver outstanding legal services. So it’s essential that we design a good strategy for attracting new clients, and publicize our firm within our own networks in order to find business opportunities. The next step is easier. You have to keep clients satisfied and loyal to the firm, so that they themselves become ambassadors for the company within their own professional circles. There is only one way to achieve this: work, work, and more work. My experience as a founding partner is based on 18 years of hard work, persistence and perseverance in my profession. In addition, during my time at IE Law School I gained a skill that has been fundamental throughout my career: the ability to anticipate new trends and changes. That’s why whenever I need to expand my education in order to adapt to the new paradigms of the market, I go to IE. Tell us about your hobbies and what you like to do in your free time. I have a two-year-old son, so I like to spend most of my free time with him. I also have a hobby that I practice every day, it’s something that’s fundamental to my body, mind and my mood: running. Every morning when I wake up, I leave the house and run 10 km. As well as physical and mental training, beginning the day with exercise gives me a feeling of optimism that money can’t buy. And I must confess that great work ideas always come to me when I’m running.